Fathers Day 2014 | A.B.E. Remodeling, INC. In honor of all the "DAD's" out there. I always liked it put like this..... anyone can be a father but it takes someone special to be "DADDY" We all know it's not always easy being "dad" and we do the best we can through the challenges. 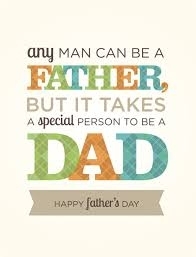 The staff here would like to give a shout out to all you DADS/FATHERS on the recognized day. May you all have a wonderful Fathers day on Sunday June 15. Treat yourself to a relaxing day. So hey what are your plans, Dad? Grilling, Out to dinner? Laying out in the Hammock, Swimming, Boating, Golfing. What's your pleasure?